Princess Cut Promise Silver Ring. 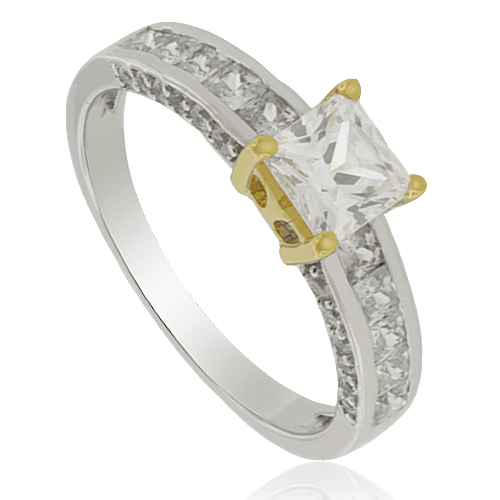 Let your love grow and grow with this amazingly elegant Princess Cut Promise Silver Ring. Centered with a 5 mm simulated diamond, the ring also has channel setting stones on the band and on the sides. A wondrous token of your love, she will be charmed. Center stone crown is dipped into 14k yellow gold.